On Tuesday, Chilipoker announced that it would become the first online poker room to “connect players” with Chiliconnect, an integrated toolbar with the poker client that allows players to share results, connect with other players, challenge with sidebets, swap action with friends, and much more. 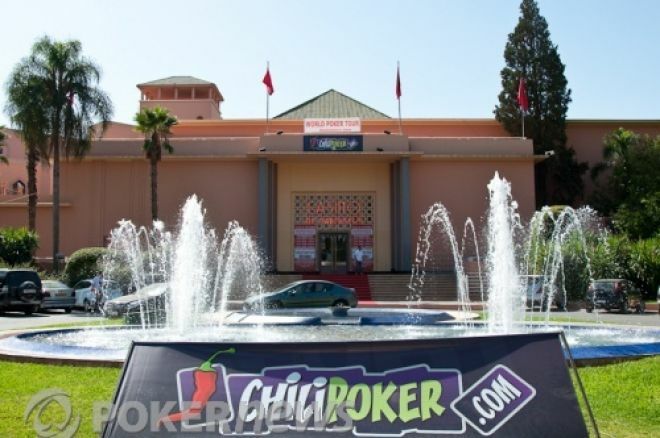 “For all of the billions of dollars online poker companies have made in the last decade, this has to be one of the biggest innovations in online poker that I’ve seen,” blogger Bill Rini boasted about Chilipoker’s new groundbreaking innovation. Chilipoker, which has operated in the online poker industry for the past four years, has designed Chiliconnect to be compatible with popular social media outlets such as Facebook and Twitter. Players will be able to publish their results to such sites directly from the poker software and share pertinent information with their friends. They’ll also be able to customize the message they want published on their walls including information on cash-game sessions, tournament results and SNGs. Although Facebook and Twitter are by far the most popular social media outlets in the world, Chilipoker founder Alexandre Dreyfus said that the company is looking to make Chiliconnect compatible with as many applicable social media sites as possible. In addition to the Facebook and Twitter options, Chiliconnect is designed to connect users with their friends and other players playing on Chilipoker. This includes real-time tracking of friend’s activity (see their results, the next tournaments they’re registered in, etc.) and the option to challenge friends (or any other Chilipoker player for that matter) to a specially designed competition (users create their own formats ranging from $1 up to $1,000). In addition, friends can challenge other players to a last longer bet (from two to six players) in any tournament, swap percentages (available before and even after the tournament starts up to 50% of the action), and all the while, Chilipoker “runs automatic settlement of the challenge and funds transfer" without commissions, fees or other costs. Social media have been rapidly growing over the past decade and it is a wonder that no site has done something similar in the past. No doubt many other sites are kicking themselves, which they’ll likely continue to do because Chilipoker has a patent in Europe on the options offered with Chiliconnect, much like Full Tilt Poker has done with its popular Rush Poker. To help promote Chiliconnect, the site will launch a worldwide TV campaign beginning in mid-April. If you're interest in learning more and want to see Chiliconnect in action, watch the five-minute tutorial below to see exactly how it all works. Try out Chiliconnect by signing up for a Chilipoker account through PokerNews where you'll get a deposit bonus of 150% up to $600. Want to take your PokerNews experience to the next level? If so, be sure to follow us on Twitter and like us on Facebook.